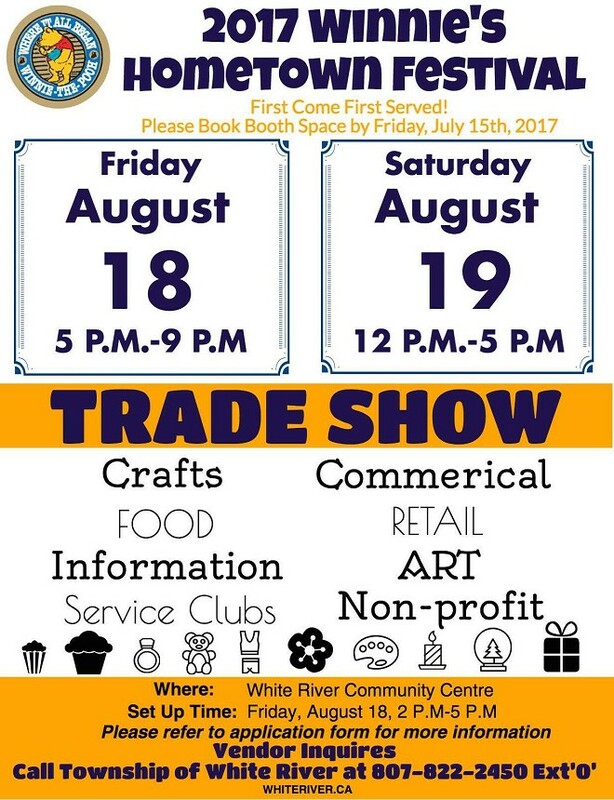 The August edition of the White River Newsletter is now available! Are you interested in promote your business at 2017 Winnie-the-pooh Hometown Festival? Applications are now open to become a vendor at 2017 Trade Show. More information can be found at the Application Form. Hosting an event and want the community to know about it? 2. Open to the general public. You can simply email your event name, location, time, and poster (or description) to winniethepooh@whiteriver.ca. If you have questions or concerns, feel free to give us a call at 807-822-2450 ext 0. Want to contribute to the Winnie-the-pooh Festival 2017? White River is accepting applications for the Festival Committee. If you are interested, please sign up by calling 807-822-2859. Are you looking for jobs or just want to make some extra money? Many employers especially those in the service sector in White River are looking for full-time or part-time employees. Current job openings can be found on White River Economic Development Facebook page, as well as Employment page at this website. 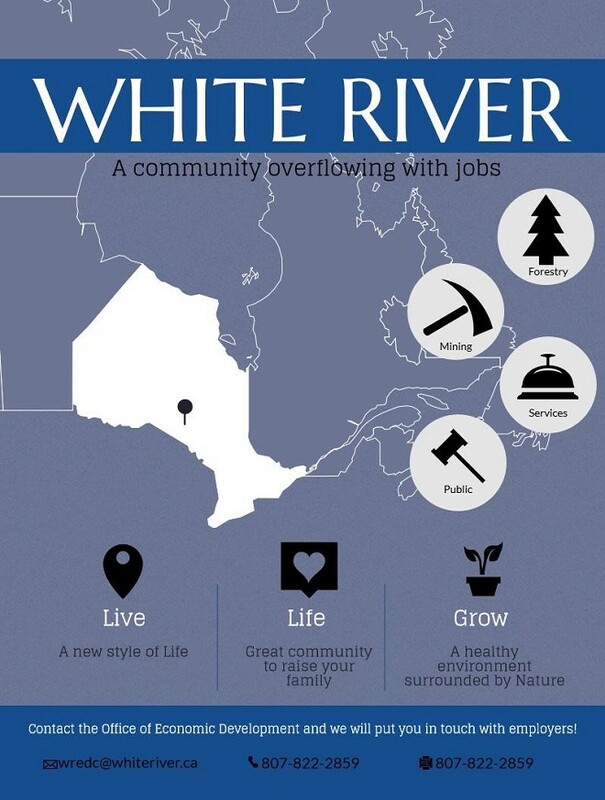 Or If you simply want to send your resume email wredc@whiteriver.ca.